We didn't buy much during out trip to PDX but we found so many great little shops, we didn't come home empty handed either. 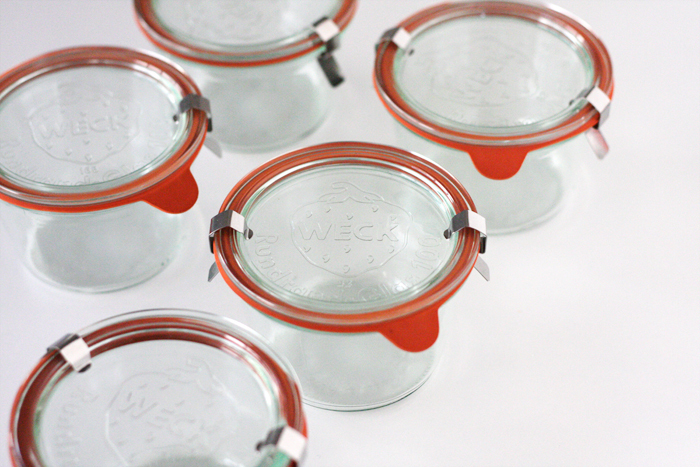 This set of German made Weck jars are from Canoe. The little Donna Wilson tumbler is from Ink & Peat, more photos of this beautiful shop to come... Jeremiah found this type book from Powell's. I stayed right next to Jeremiah the whole time, the size of this book store was so eerie, and we had to trek 4 floors to get to the art section. 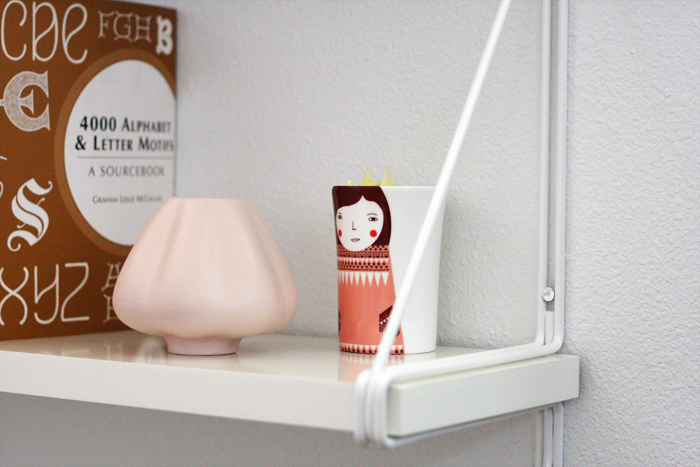 And we stopped at Ikea for lunch on our way out and got some shelves and a few other little things. Jeremiah and I were surprised at how much we could cram into the back of our little car, good to know for next time! The little clothes for Israel are from H&M. They had some cute things but a very small selection. I found some little toggle sweaters for him too but nothing in his size, darn. You got the nesting tables at Ikea? I've been looking for something similar for my living room.. but I don't see them on their website?! 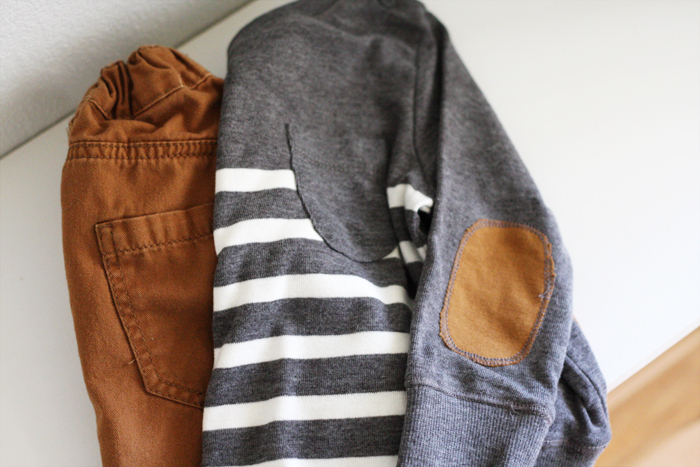 I have a weakness for cardigans and sweaters with elbow pads :D Great finds! Are there Zara stores in US? They have the coolest kid clothes. Love all of the stuff that you picked up. 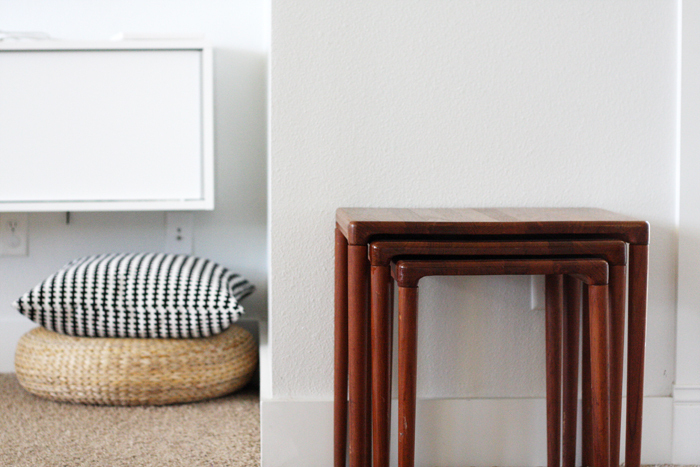 Especially the nesting tables. I love the jars...and Donna Wilson new collection. Great purchases! We moved to Berlin a few months back and the windows of the h&m kids store make me swoon every time I pass them (we don't have h&m in australia where I'm from), cutest stuff ever! i love the donna wilson tumbler, i got it for one of my friends because it looks just like her! all of the illustrations have such personality! As a Portlander, I think you did a fabulous job seeing some of the best shops in the city! You hit many of my favorite places.